Do You Have Problems with Your Laces? 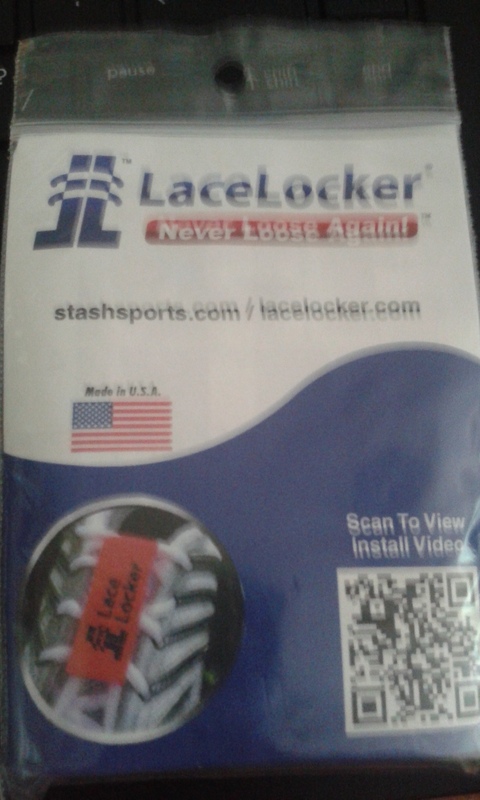 Disclaimer: I received a pair of LaceLockers to try. I was not asked for a review but am freely giving one. All opinions are my own. Getting sport shoe laces tightly tied is important. While I have seldom had an issue with my laces coming untied – the exception being if I am on trails where they might get caught on something, I know a lot of people who have troubles with laces coming untied. Who wants to waste precious seconds retying your shoes in the middle of a run or, worse yet, the middle of a race? Add to that weather issues that could make retying more difficult and making sure laces stayed tied is imperative. In comes LaceLockers. These creations not only prevent laces from coming untied, they also prevent loosening of laces. I have frequently – usually on training runs – stopped to tighten up a lace. 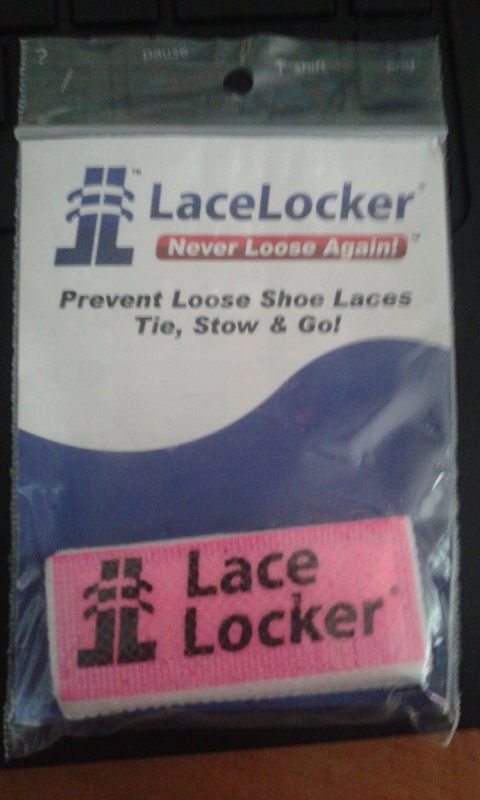 Easy to install (I’m sure that is what you do with these but not so sure that word is the right one), LaceLockers cover your laces so they do not come untied or loosen during a run. The velcro on the LaceLocker has never caused me any issue. Even running in rain, mud and trails, I have not had the LaceLocker fail nor have I had the velcro that holds it all together come undone. I worried about that scenario – mud and wet grass getting in the velcro and clogging it up so it wouldn’t hook – but have tested it and had no problems what so ever. I used a LaceLocker on my left shoe only as my RoadID is a pouch and goes on my right shoe. There was no strange feeling with two different types of items on my shoes. Neither shoe rubbed funny on my ankle or felt cumbersome. You can read how others feel about LaceLocker and even purchase your own if you would like by visiting their website.